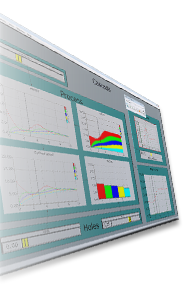 The MyM software package is distributed with the following tools to support you in the development of MyM models. MCui is the command line interface to connect to a MyM simulation model. With MCui you can send commands to the model by typing commands, like run, print, etc. These commands can als be written in a file and processed as a batch file. The use of MCUI is interesting if you just need the output for further processing, or when you want to link a MyM model to another software package. MDocumentor is a document generator program based on the simulation model and the source code of the model. It gives the modeller the option to document the model, and generate a documentation model in HTML form for own inspection or for fellow researchers. MVartrace is a debugging tool to browse through variables, data and dependencies of a MyM Model.